Tried this place out a while back with a good friend and the brisket was pretty good; I think I liked his beef ribs much more though, and the sausage was pretty darn good. Friend later sent me this article outlining his method, I thought it would make interesting reading and contrast to BluDawg's method below (not drawing conclusions on better or worse, just illustrating how different strokes are for different folks). As to Cattleack's method: Good thing I wasn't driving when I read it. But, like I tell people, in a sample of 10 different experienced cooks all doing brisket, you’d likely have 10 different methods and 10 different but all good outcomes. 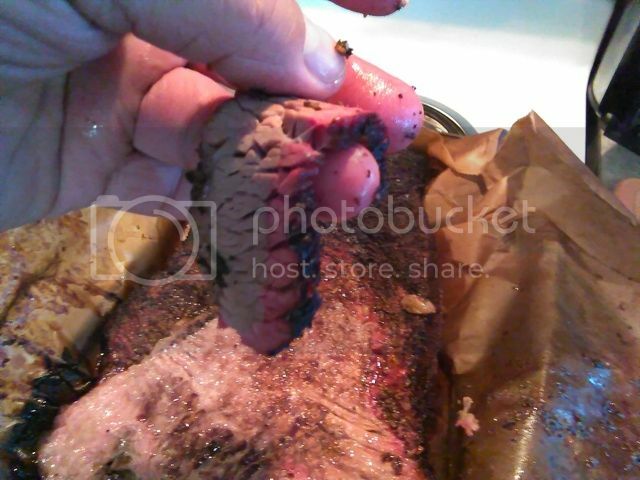 The moral of the story is there is no moral to brisket; if the outcome is good, you musta’ done it right. I always tell people there is no right way in BBQ. It is the end result that counts, and there are many ways to get there. Heres the difference he takes 8 hrs to get to 170 I do it in 4 hrs and IMO the mustard is best reserved for the hot dogs but as Okie alluded to theres more than one way to get there. Me I like my sleep so hot fits my pistol . Dawg, with you on that - don't see a need to slap cheap yella mustard on something that was perfectly good to begin with. I think that mustard slather is kind of a Carolina thing.